How do we eliminate wealth inequality and financial fragility? Abstract: Social democracy and market liberalism offered different solutions to the same problem: how to provide for life-cycle dependency. Social democracy makes lateral transfers from producers to dependents by means of progressive taxation. Market liberalism uses financial markets to transfer financial entitlement over time. Social democracy came up against the limits of public expenditure in the 1970s. 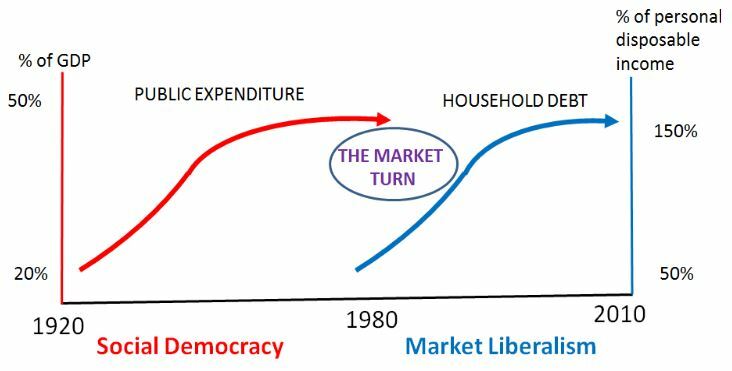 The ‘market turn’ from social democracy to market liberalism was enabled by easy credit in the 1980s. Much of this was absorbed into homeownership, which attracted majorities of households (and voters) in the developed world. Early movers did well, but easy credit eventually drove house prices beyond the reach of younger cohorts. Debt service diminished effective demand, which instigated financial instability. Both social democracy and market liberalism are in crisis. 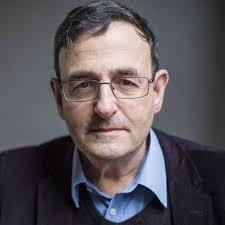 This paper emerged from Avner Offer’s Tawney Lecture at the Economic History Society’s annual conference, Cambridge, 3 April 2016 (the video of which can be found here). In this paper Offer discussed two macroeconomic innovations of the 20th century, which he calls “the market turn”. These are the changes in fiscal policy and financialisation that encompassed the shift from social democracy to market liberalism from the 1970s onwards. Social democracy is understood as a fiscal innovation which resulted in the doubling of public expenditure (from aprox. 25 to 50 per cent of GDP between 1920 and 1980). Its aim was reducing wealth inequality. Market liberalism encompassed a monetary innovation, namely the deregulation of credit which allowed households to increase their indebtedness from around 50 to 150 per cent of personal disposable income, mainly for the purpose of home ownership. According to Offer the end result of market liberalism was increasing wealth inequality. See Offer’s depiction of this process in the graph below. Two macroeconomic financial innovations in the 20th century, UK calibration. Is there really a trade-off between equality and efficiency? Answering any of these question is not simple and heated debates abound around them. Offer, however, rescues the idea of life-cycle dependency, where the situation of the most vulnerable individuals is alleviated through collective risk pooling rather than financial markets. According to Offer, life-cycle dependency was the dominant approach to reducing poverty in most developed countries until the oil crisis of the early 1970s. Then collapse of the Bretton Woods accord that followed, led to the liberalization of credit by removing previous constraints. This in turn resulted in the “market turn”. Professor Avner Offer (1944). MA, DPhil, FBA. Emeritus Fellow of All Souls College, Oxford since 2011. Offer then turns to analyse the events after the collapse of Bretton Woods that led to the increase of household indebtedness while focusing on the UK. The 1970s was a very volatile decade for Britain. For instance, oil price increases and the secondary banking crises of 1973 resulted in the highest annual increase of the inflation rate on record. Offer argues, while citing John Fforde (Executive Director of the Bank of England at that time), that the Competition and Credit Control Act 1971 was as a leap of faith in the pursuit of greater efficiency in financial markets. This Act was accompanied by a new monetary policy where changes in interest rates (the price of money) by the central bank was to bring about the control of the quantity of money. Perhaps unexpectedly and probably due to a lack of a better understanding of the origins of money, that was not the case. Previously lifted credit restrictions had to be reinstated. The paper ends with possible and desirable futures for public policy initiatives to deal with today’s challenges around wealth inequality and mounting personal credit. He argues that personal debt should be reduced through rising inflation, a policy driven write-off or a combination of both. He also argues to reinstate a regime where credit is rationed. He states that financial institutions should not have the ability to create money and therefore the housing market funding should return to the old model of building societies. He has a clear preference for social democracy over market liberalism and as such argues that austerity should end, since it is having the exact opposite effects to what was intended. Offer clearly fulfils the latter, even though some orthodox economists might disagree with his inflationary and credit control proposals. As per usual his idea are a great contribution to the debate around market efficiency in a time when the world seems to be in constant distress. Perhaps we ought to generate more and better research to understand the mechanisms through which market liberalism generated the current levels of wealth inequality and financial instability that Offer describes. More importantly though, is analysing if social democracy can bring inequality down as it did in the past. In my view, however, in a world where productivity seems to be stagnated, real wages are decreasing, and debt keeps growing, it is highly unlikely that the public sector can produce the recipe that will set us in the path of economic prosperity for all. Offer, A., & Söderberg, G. (2016). The Nobel Factor: The Prize in Economics, Social Democracy, and the Market Turn. Princeton University Press. This entry was posted in Capitalism, Conference or presentation, Economic History, Inequality, Innovation, Institutions, Macroeconomics and tagged economic history, inequality, institutions on 2017-02-21 by chechurris.